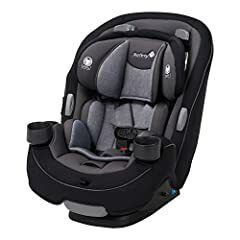 If your baby is growing out of their infant car seat, or you’re looking to use a convertible from the start, you should absolutely take a look at these four models. 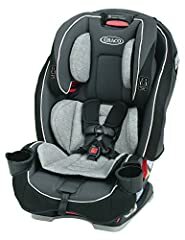 Our roundup of the Best Convertible Car Seats of 2018 include the Nuna Rava, Britax Boulevard Nanotex, Clek Foonf, and Maxi Cosi Magellan Max! In this video, Eli discusses each model’s incredible safety features along with ease of installation and use. Still getting the hang of this whole convertible car seat thing? We’ll match you with the perfect model for your family, car, and lifestyle. Give us a ring at 617-383-8250 or just send us an email at questions@mbeans.com. 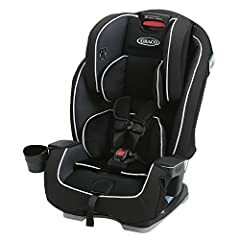 We just purchased the Britax Boulevard after watching several videos. Yours are so thorough and detailed and were very helpful! Thank you for sharing. Thank you for the video! Why is the Diono not on your list anymore? Is the order of presentation means the first is the best? Do you have any information on whether or not the Nuna Rava is, or will be, available in Canada? Wow, 120 pounds!!? Adults can sit in that thing! I’m so glad this video went up before we have to buy a convertible car seat! My hubby and I value your opinion very much and these videos help us be so much more informed than we would be otherwise. A few questions, though. Is the Nanotex effective for a sweaty baby? Would it keep them cooler than the Cool Flow line? Would the Rava be effective for that as well? We have the Pipa and were set on the Rava but our daughter gets so sweaty in 100°+ and I’m sure she’d like us to help her stay cooler. Thank you so much for this video and all the info!! Hi Eli and everybody at Magic Beans. First of all, thank you and congratulations for all your videos. Since we knew we were going to be parents and started to look at all of the things we must buy for our baby, Magic Beans videos are the most complete and helpful. Our baby is 10 months now, almost 8 kilos and have the Maxi Cosi Max 30 [or something like that], and we are now thinking to buy a convertible car seat. From these 4 options you review, what would be the best one for a Nissan Kicks? considering rear-facing installation? Thank you so much, and again, congratulations for your reviews. These are good for newborns as well? What’s the ranking of these car seats from your most favorite? When does a toddler transition to the booster seat (after convertible)? Hey Eli! Can you show an installation of the Magellan Max? Hi Eli. Thanks for the review. Would you be able to do a comparison video of this new Maxi Cosi model and the Maxi Cosi Pria 70? 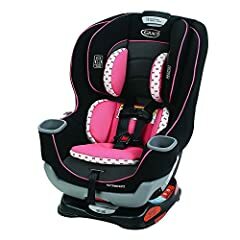 Which convertible seat do you recommend that can be used in a car with inflatable seatbelts? Can you recline these seats while they’re installed? Like if my child falls asleep and I want to further recline them (following the safety guide on the side) can I do that quick without having to stop the car, take my child out, and reinstall it just to recline it? What about the Cybex Sirona, with its 360• degree rotating seat for easy access, would you recommend it? I am between the Nuna RAVA and the Cybex Sirona! I need help… My baby is 9 months… what booster or convertible seat is easiest for taxi / uber? Im concerned that after she turns 1, I won’t be able to uber..
Hi Eli. Which would you recommend between the Foonf and the 4ever Extend2Fit? When I was pregnant with my son I chose the Graco Contender because of the features and high shell height for the price, but now 18 months later I’m reconsidering and leaning towards a Boulevard Clicktight ARB. I had no idea carseat rebound could be so severe in a crash! Thanks for the vid. Which one is the smallest in overall dimension? Do you happen to ship internationally? I feel like the US has soooo many things that Europe doesn’t have when it comes to nursery/baby stuff (or their ridiculously expensive).